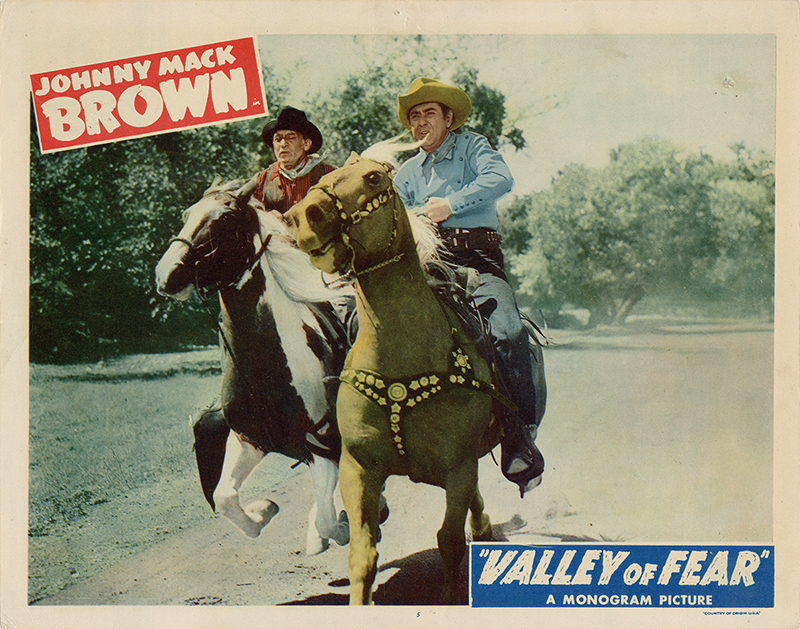 SCVHistory.com LW3210 | Melody Ranch | Johnny Mack Brown Stars in 'Valley of Fear,' Monogram 1947. 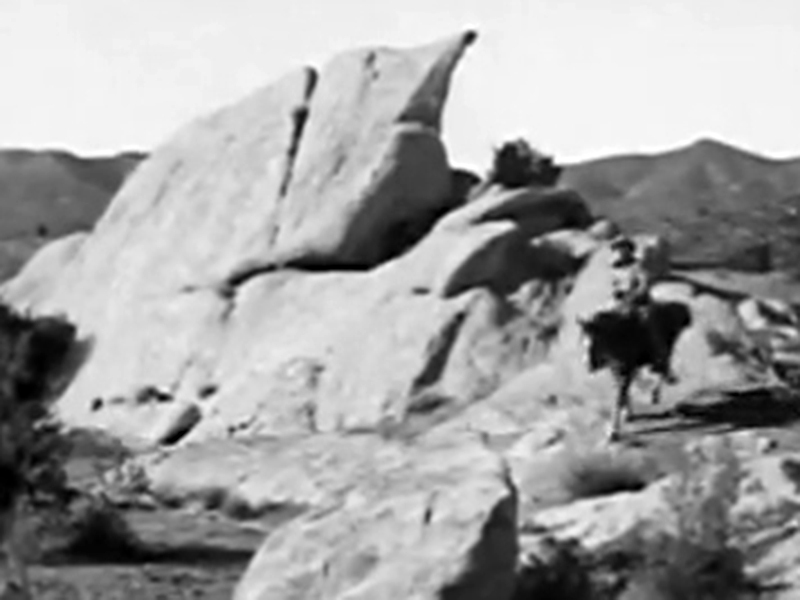 Johnny Mack Brown stars in "Valley of Fear" (Monogram Pictures 1947), which was filmed at the Walker Ranch in Placerita Canyon and elsewhere in the Santa Clarita Valley, presumably at Ernie Hickson's Placeritos (Monogram) Ranch, later called Melody Ranch, where Brown and costar Raymond Hatton appeared in many other pictures. Directed by Lambert Hillyer, who directed William S. Hart a quarter-century earlier. Credited cast also includes Christine McIntyre, Tristram Coffin, Ed Cassidy, Eddie Parker, Edward Peil Sr., Ted Adams, Pierce Lyden, Steve Darrell, Cactus Mack and Budd Buster. Uncredited cast: Gary Garrett, Chick Hannan, Bob McElroy, Artie Ortego, Marshall Reed, Matty Roubert, Wally West	and Johnny Mack Brown's horse, Rebel. LW3210: 9600 dpi jpeg from original lobby card purchased 2018 by Leon Worden.